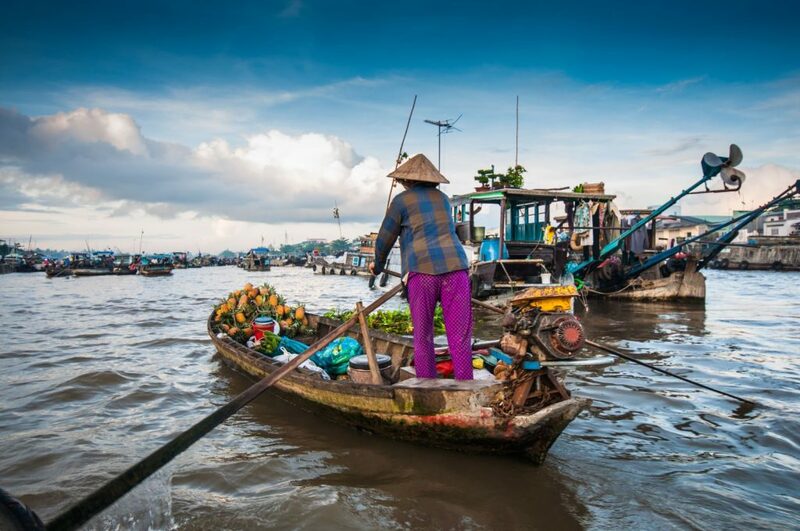 Mekong Delta is famous for its luxuriant fruit orchards, Southern amateur music of Vietnam or Don Ca Tai Tu in Vietnamese with melodious melodies and unique floating markets. 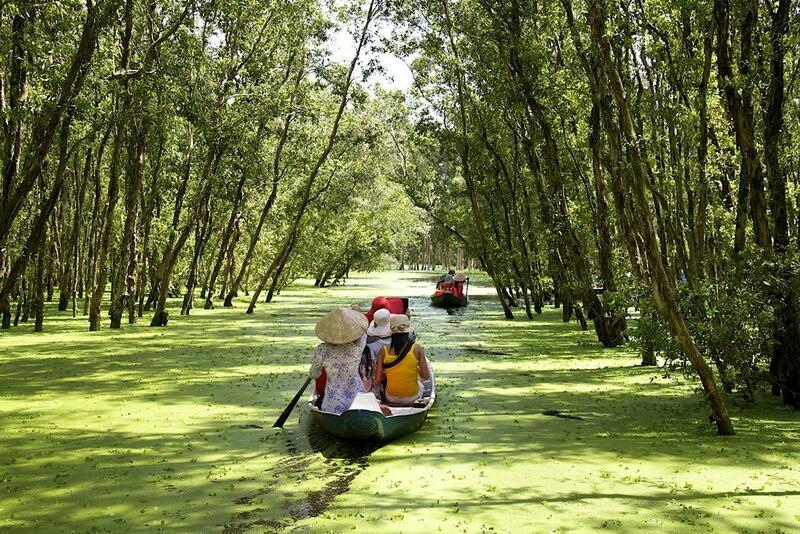 There are many choices for Mekong Delta tour 1 day to discover the atmosphere of peace and harmony with nature such as Vinh Trang Pagoda, Dong Tam Snake Farm, Cai Be Floating Market, Lotus Ponds, etc. 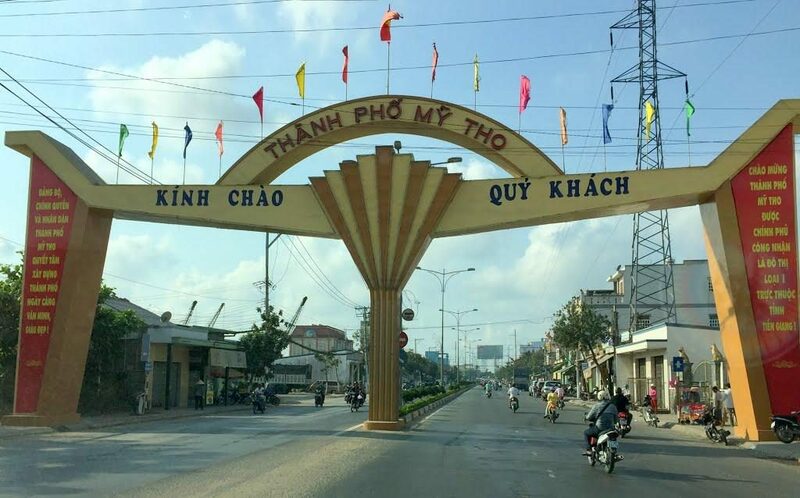 During the tour, the first place you will pass by My Tho City, located between the Tien River junction of Tien Giang Province, nearly 3 centuries ago, this place has the cultural features of a river city and brings the beauty of the South West land. 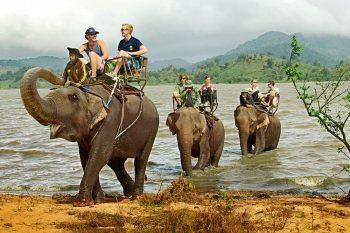 There are many tourist attractions such as Vinh Trang pagoda, Dong Tam snake farm, bearing the bold identity of the South West in Mekong Delta 1 day tour. Vinh Trang pagoda on Nguyen Trung Truc street in My An hamlet, My Phong commune. The pagoda was built in the early 19th century with bold architecture in the style of architecture, interference between Asian-European architecture, such as French, Roman, Thai, Cambodian and Cham architecture. 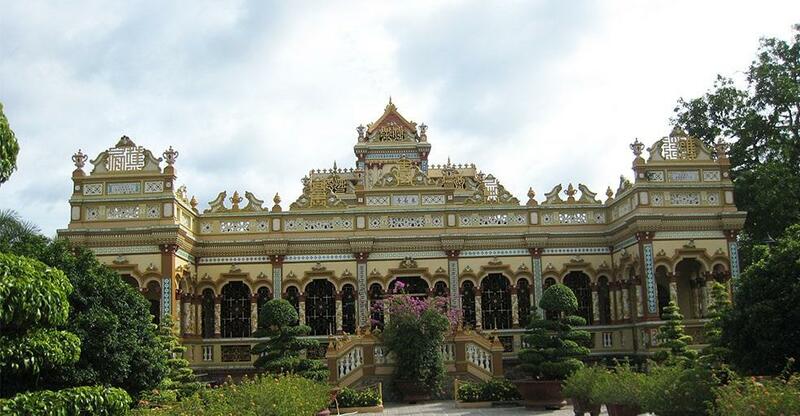 As a unique artwork, Vinh Trang Pagoda is recognized as a historical and cultural monument and one of the largest pagodas in the South West of Vietnam also. On the full moon day, Vinh Trang pagoda is always crowded with people in many places come here to pilgrimage. People come here not only to see a large temple, but also to send the desire for peace, spread their hearts in a very peaceful, peaceful space. Dong Tam Snake farm located on the banks of the Tien River, Tien Giang Province, covers an area of tens of hectares and airy green space. 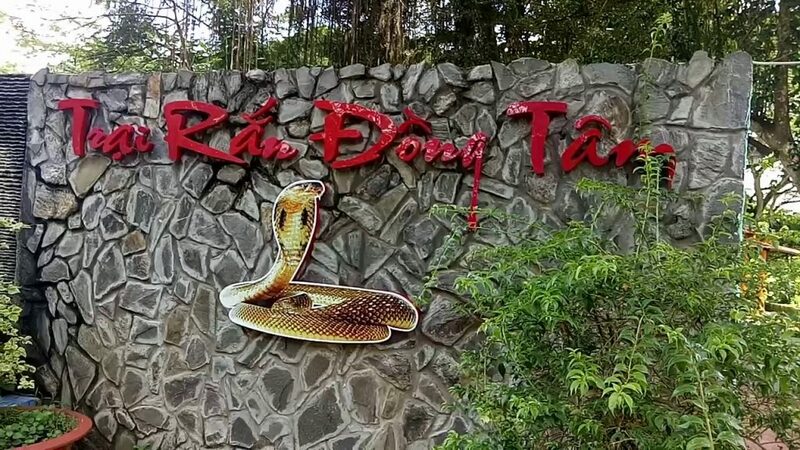 This is one of the largest snake farms in Vietnam with many different species of snake, attracting many domestic and foreign tourists to visit, to understand and study. Do you have goosebumps when seeing snakes? If you come in the right time, you can see the experts taking snake venom to produce drugs. 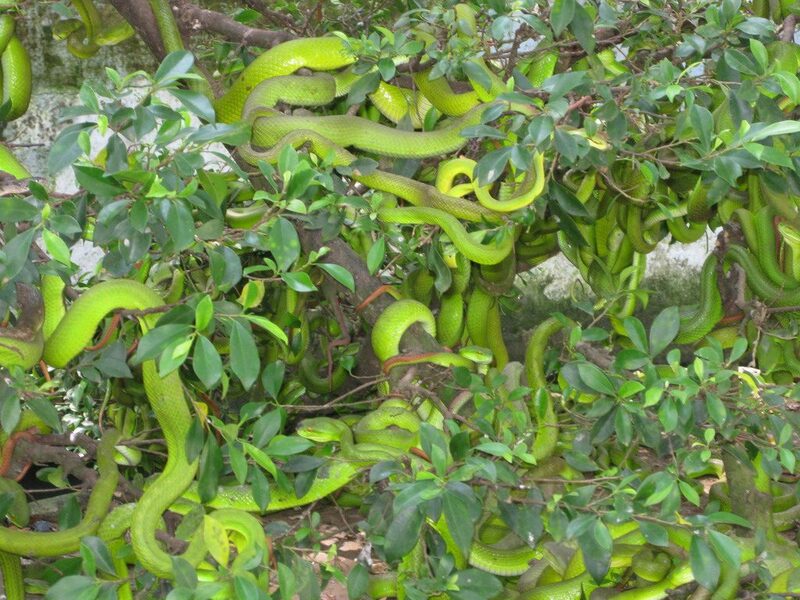 In addition, there is house with more than 50 specimens of rare species of snakes. Especially, you also have the opportunity to take pictures with a python wrapped around your body. Although python has been trained and will be very gentle with you, but for those who try it for the first time, they will feel the same fear and excitement at the same time! 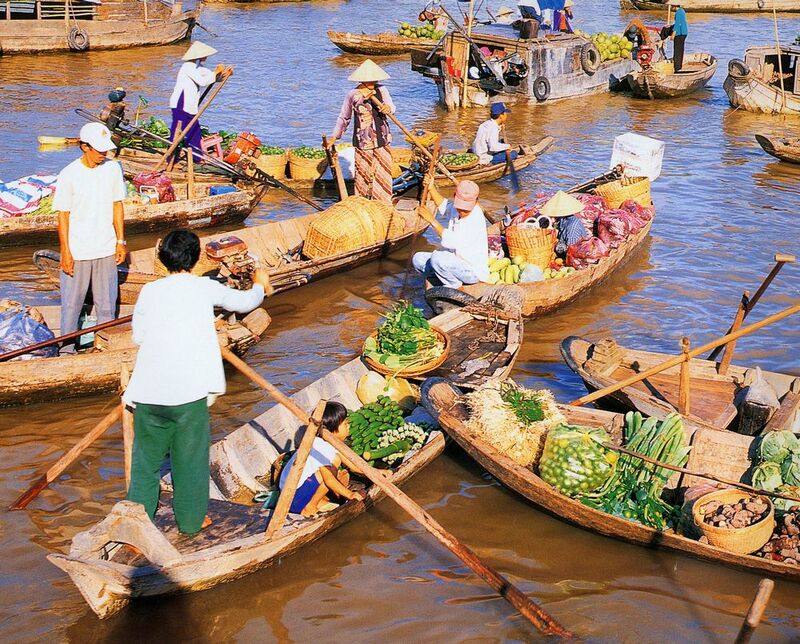 Most exciting attraction in Mekong Tour 1 day, Cai Be floating market opens daily from very early. From 3 am to 4 am, boats already gather at the market. And when the sun comes out from 5am to 6am, it becomes more and more busy. This is the appropriate time for visitors to visit, explore the floating market. You will have the opportunity to see the on-river trading activities, learn about the life of people in the South West. Drifting in the river, seeing the sky, water and enjoying the wonderful relaxing moments. Cai Be floating market often closed at 8 pm. If you like quiet and peaceful atmosphere, you should visit the floating market in the afternoon, around 4 pm. To Cai Be floating market in this time, you will have the opportunity to watch the sunset on the river. Lotus Ponds in Thap Muoi, Dong Thap Province is a great choice for those who want to experience the airy country style. Here, you will be breathed in the soft-air of the lotus bowls. 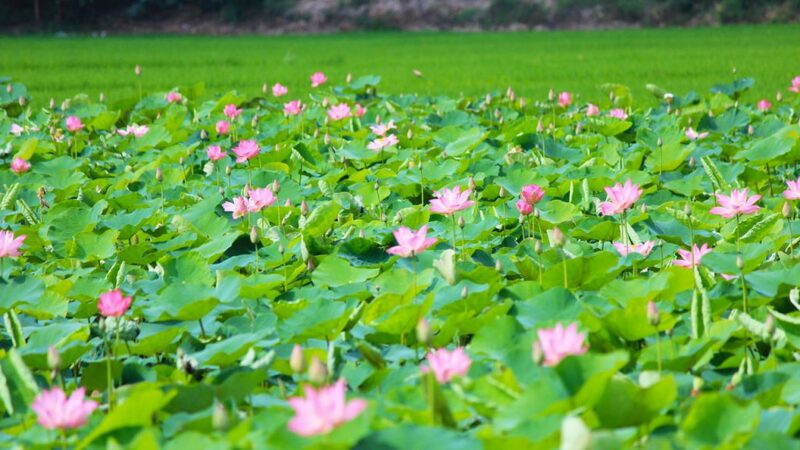 An enjoyable experience that everyone would like to enjoy is having lunch in the lotus ponds. 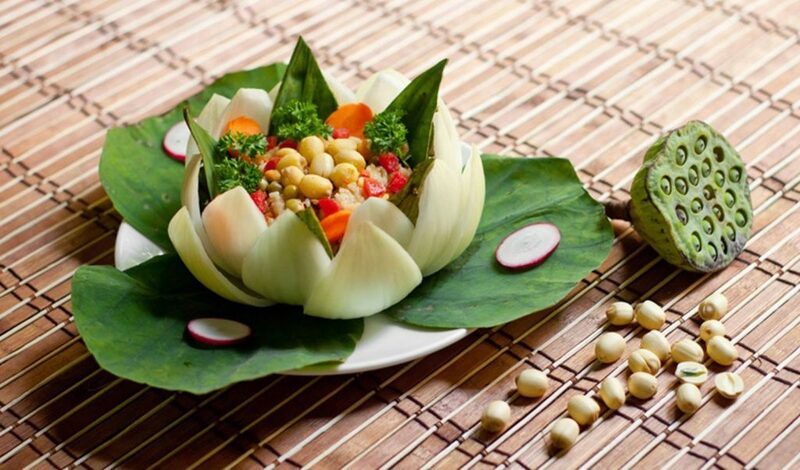 You will enjoy local dishes such as lotus tea, lotus root with roast chicken, sticky rice with lotus seeds, etc. and do not forget the unique dishes such as mouse meat, steamed fish, etc. 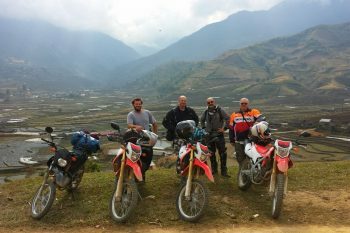 By choosing best mekong delta tour 1 day, you will be able to watch the bustle on the river, sipping the cup of coffee, enjoying the rustic dishes of South Vietnam. 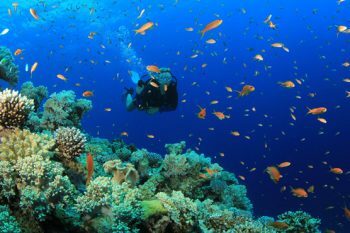 It is probably the most unforgettable experience for travelers.